Alberto has held executive level positions since 2002 in various industries within the corporate sector. His portfolio of responsibilities have included; Sales &amp; Marketing, Professional Development, Training and Strategy. As Manager – Projects and Strategic Partnerships, he is responsible for the implementation and delivery of SSBT’s national partnerships strategy. 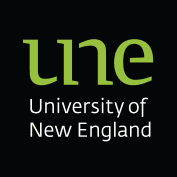 We are proud to announce you that the University Of New England (UNE) has confirmed the development of pathway arrangements with the Sydney School of Business and Technology (SSBT) AQF Vocational Education and Training (VET) programs into their degrees. Our students can now supplement their studies with a combined package in the heart of Sydney. Studies options include enrolling in the highly popular Bachelor of Business (Analytics and Informatics) or maybe one of the highly regarded Master’s degree that UNE has to offer. Click on the following link for UNE English requirements. We are pleased to advise you that Southern Cross University (SCU) has confirmed the development of articulation arrangements with the Sydney School of Business and Technology (SSBT) AQF Vocational Education and Training (VET) programs of Associate, Bachelor and Master Degrees. Click on the following link to download AQF Vocational Qualification Credit Linkages for specific credits approved into Southern Cross courses. and enter the relevant criteria (course code or name). Click on the following link https://www.scu.edu.au/aqfvocationallinkages for AQF Vocational Qualification Credit Linkages & English requirements.